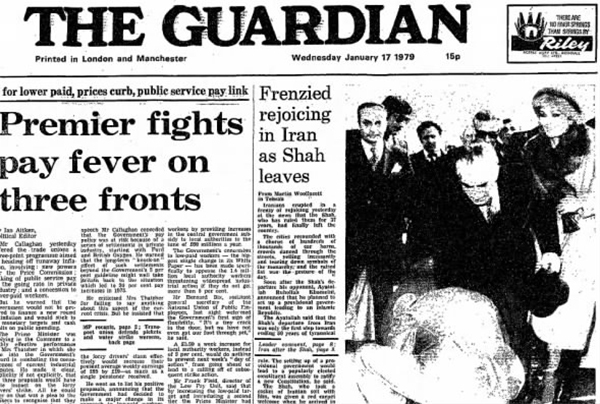 17 January 2019 – The Guardian – Iranians erupted in a frenzy of rejoicing yesterday at the news that the Shah, who has ruled them for 37 years, had finally left the country. The cities resounded with a chorus of hundreds of thousands of car horns, crowds danced through the streets, yelling incessantly and tearing down symbols of the monarchy and the raised fist was the gesture of the day. 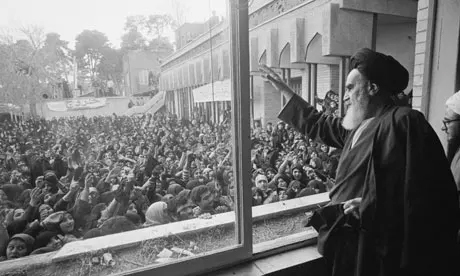 Soon after the Shah’s departure his opponent, Ayatollah Ruhollah Khomeini, announced that he planned to set up a provisional government leading to an Islamic Republic. The Ayatollah said that the Shah’s departure from Iran was only the first step towards ending 50 years of tyrannical rule. The setting up of a provisional government would lead to a popularly elected constituent assembly to ratify a new Constitution, he said. The Shah, who took a casket of Iranian soil with him, was given a red carpet welcome when he arrived in Aswan, Upper Egypt. President Anwar Sadat, grateful for Iran’s past financial and oil support, afforded the Shah and his empress full honours, including a 21-gun salute. The Shah left the city in which he was born nearly 60 years ago quietly. His planned conference with foreign journalists was cancelled at the last minute because, according to palace sources, he felt too close to tears to face reporters. Earlier, he wept unashamedly, according to the same sources, as he said goodbye at the palace to servants and close family retainers. But he and Empress Farah spoke briefly to the official Iranian news agency wishing the country and the Government well. They then boarded the royal Boeing with a small entourage for their flight to Egypt. 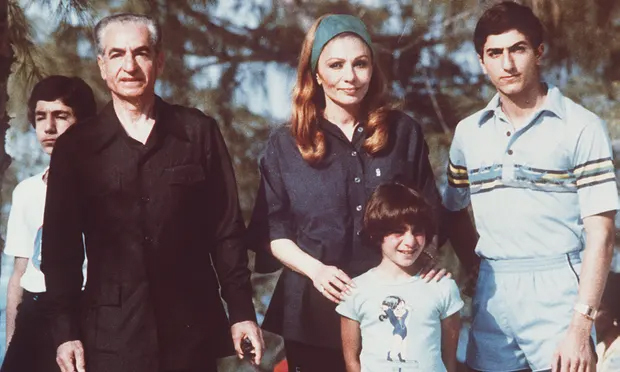 The Shah piloted the plane after being seen off by the Prime Minister, Dr Shapour Bakhtiar, court officials and senior army officers, including the chief of staff, the chief of the ground forces, and the commander of the imperial guard. They were accompanied to Egypt by only one senior official, Mr Amit Aslan Afshar, the court’s chief of protocol. 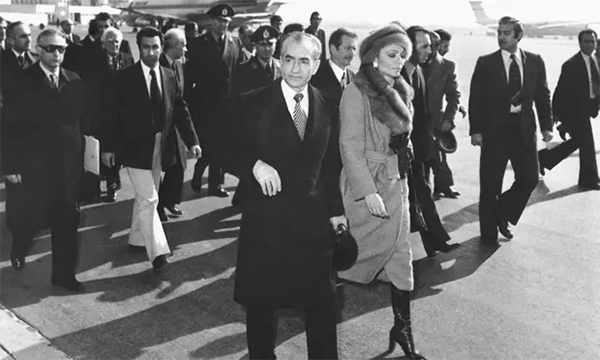 Dr Bakhtiar went to Mehrabad airport near Tehran after receiving the vote of confidence from the Iranian parliament which completed the constitutional niceties necessary for the Shah’s departure. In the Niavaran Palace hundreds of courtiers, officials, and servants wept as the Shah and the Empress departed. The three Imperial children left Iran on Monday.